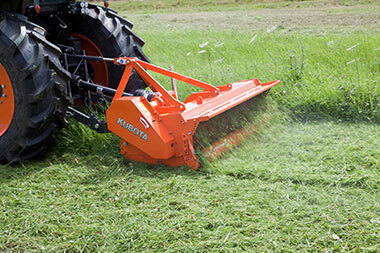 The Kubota SE1000 series grass chopper is a small, medium-duty machine for use on slightly rough ground and other green areas: in amenity areas, for tidying up pasture and in similar situations. 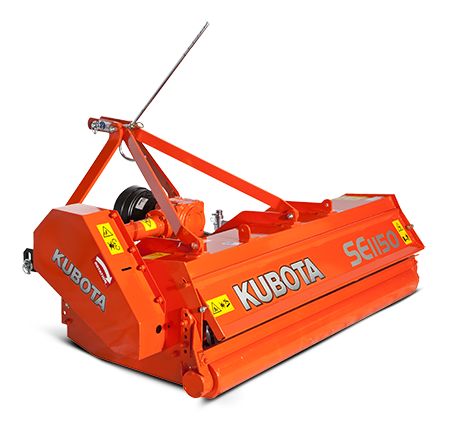 The Kubots SE1000 Series is suitable for tractors up to 50 hp. 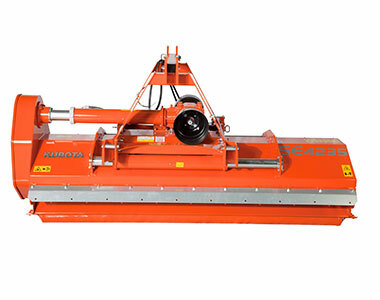 It is available in 0,90m; 1,20m; 1,50m and 1,80m working width. However, all models are solidly constructed throughout with a robust gearbox and very strong power transmission to the “V” belts driving the shafts. In addition, they have a strengthened chassis with double plating in the areas subject to highest stress. 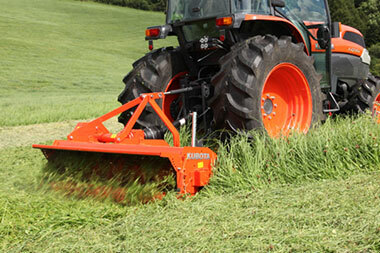 The combination with Kubota’s precisely manufactured rotor shafts and hard wearing blades makes them extremely reliable. Blades for stony condition on request. Cup blades (available through Spare Parts). Free floating cutting tools (flail concept). 101.6 x 8 mm rotor tube. The SE1000 series is equipped as standard with a rear roller which allows the reliable control of the working depth. Alternatively a pair of skids can be supplied on demand.